SteelSeries quietly introduced the Kinzu v2 Pro Edition, a new "tournament-grade" gaming mouse that is sold in Europe for around 44.90EUR. 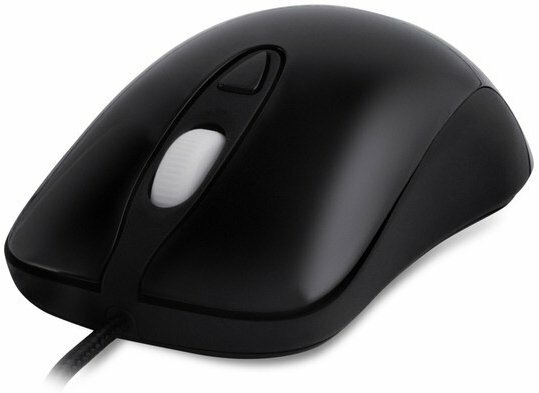 This new rodent measures 64 (W) x 36 (H) x 127 (D) mm and has an ambidextrous design, three buttons and a clickable scroll wheel, Omron button switches, Teflon feet enabling a low-friction glide, and a 3200 dpi optical sensor. The Kinzu v2 Pro Edition also features a 1,000 Hz polling rate, a 2 meter braided cable, USB 2.0 connectivity, and comes in three color versions - black, red and silver.